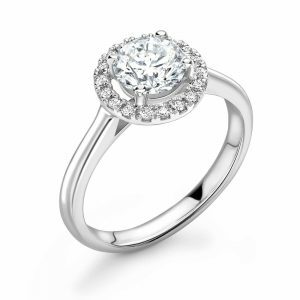 Celestia – Diamond halo ring with diamond set shoulders, french-cut pave style setting, round brilliant cut diamonds totalling 0.18ct, plus a centre stone of your choice of size set in a four claw setting. 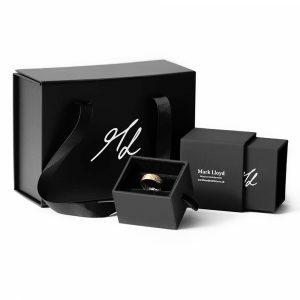 If you are unsure of your ring size select ‘not sure’ from the drop-down below, complete your purchase, and we will send you a free ring sizer in the post so that you can confirm your ring size before we begin making your ring. 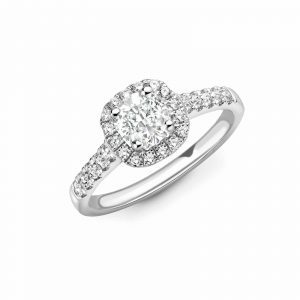 Elvie – Diamond ring with diamond set halo castle setting. 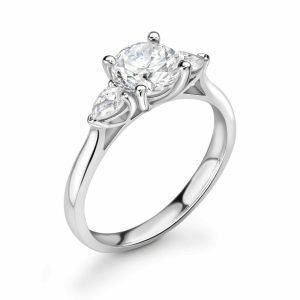 With round brilliant cut diamonds, a centre stone in your choice of size and set in a four claw setting. 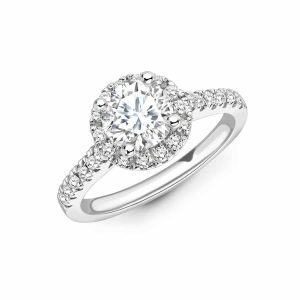 Emmeline – Diamond ring with two pear shaped diamonds set either side of a round brilliant cut centre diamond, in your choice of size and set in a four claw setting. 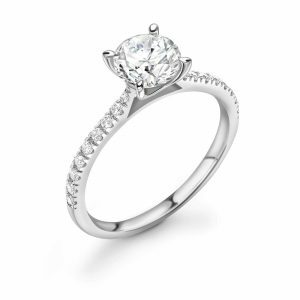 Luella – Diamond ring with diamond set shoulders, french-cut pave style setting, round brilliant cut diamonds totalling 0.21ct, plus a centre stone of your choice of size set in a four claw setting. 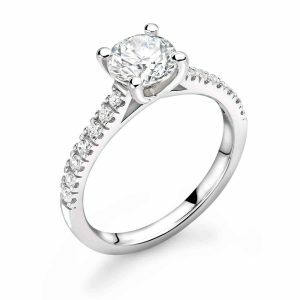 Willa – Diamond ring with diamond set shoulders, french-cut pave style, round brilliant cut diamond melee 0.19ct, plus a centre stone of your choice of size set in a four claw setting. Zadie – Diamond ring with diamond set shoulders, french-cut pave style, cushion shaped halo setting with round brilliant cut diamond melee, plus a centre stone of your choice of size set in a four claw setting.